Passive investing has become synonymous with today’s best retirement vehicles. Few other investment strategies, for that matter, can compound investment profits in the same way cash flow from a rental property can. Perhaps even more importantly, however, passive investing isn’t relegated solely to single-family properties. It is entirely possible for investors to passively invest in commercial real estate. Flipping commercial real estate shares many of the same benefits of its single-family counterparts, and more. Passive investing, as its name suggests, is the act of investing in assets without much — if any — additional investment of your own energy. A passive investment will witness real estate investors trying to maximize their returns while simultaneously reducing their own involvement. A truly great passive income property, for that matter, could produce cash flow without any additional effort on the owner’s behalf. For all intents and purposes, those looking to invest passively are focused primarily on limiting their own involvement in a deal without sacrificing returns. As a result, passive income investing has adopted one prevalent mentality: buy and hold. That way, they’ll be able to limit the amount of buy and selling in their respective portfolio, effectively reducing their own involvement. Given the long-term nature of most passive income investments, investors typically use them as a retirement vehicle, as more people will be less inclined to work over the course of their golden years. Passive investing and active investing represent two sides of the investor spectrum. Perhaps even more importantly, they represent two different mentalities towards the investment landscape. On the one hand, passive investing — as I already alluded to — will appeal to those who appreciate a more hands-off approach. As you may have already guessed, rental properties represent the epitome of passive investments. Done correctly, and with the help of a property management company, investing in rental properties can produce cash flow with little effort after a proper foundation has been laid. Conversely, active investing is exactly what you’d expect; a strategy that requires a more hands-on approach. More specifically, active investors are required to trade time and effort for a return on their investment; their actions are directly correlated to the assets performance. That said, active investors are typically more decisive because their fate is in their own hands. That’s why active investments have become synonymous with both wholesale deals and rehabs. It shouldn’t surprise anyone to learn that there’s primarily one reason most investors want to make the jump from residential real estate to commercial real estate: more money. Not surprisingly, there’s more money in commercial real estate, as the buildings are often much bigger and come with a larger price tag. The potential to make more money on a given deal is very real, but I digress. While it’s true that there is more money in commercial real estate, there’s also more risk. Anytime there’s more money at stake, investors should be cautious. That said, done correctly, passive investing in commercial real estate can result in a lucrative payday for savvy investors. In addition to making proportionately more money, you could argue that commercial real estate has a more reliable cash flow. Tenants in commercial properties, for the most part, are going to be businesses that intend to stick around for a while. They are typically better at paying their rent because, well, their business depends on it. As an entrepreneur investing in passive commercial real estate, you can take solace in the fact that most of your tenants will probably pay their bill on time, whereas single-family rentals run into more issues that threaten their ability to pay. That’s not to say business have a pristine record, but it’s better than single-family renters. Not only has commercial real estate become synonymous with more capital and better cash flow, but it’s also important to note that there is considerably less competition. While the prospects of making more money are certainly on the table, the cost of entry can be too steep for the average investor. The same reason many people consider investing in commercial real estate may actually keep others away, and that bodes well for those that are already committed. Less competition should make it easier to acquire commercial real estate at a better price. 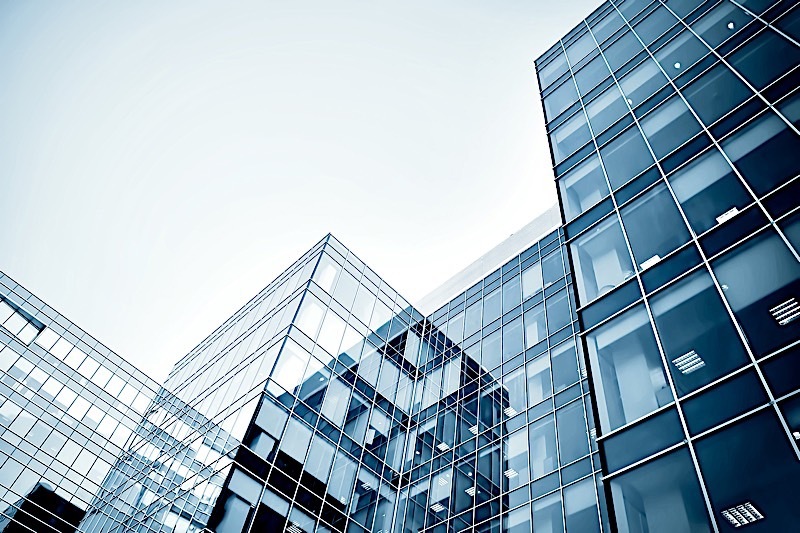 Passive investing in commercial real estate has also become synonymous with longer leases. Whereas most single-family leases will last about year, commercial leases tend to be much longer. It is not uncommon for some commercial leases to last somewhere in the neighborhood of five to 10 years. As a result, passive investing in commercial real estate adds an additional level of safety not seen in single-family properties. Since leases tend to last longer, vacancies are less of a threat; they are still a threat, of course, but less of one. There are countless reasons passive investing in commercial real estate has found its way into the portfolios of savvy investors across the country, but none may be more apparent than those I hit on here. There’s no doubt about it, commercial real estate has incredible upside, but not without risk, so make sure you know what you are getting into before you make the leap yourself. One of the first things you need to consider when evaluating a commercial real estate deal is who the sponsor is. Otherwise known as operators or developers, sponsors are the people (usually a company or a commercial real estate firm) intent on helping you acquire or develop the deal. More importantly, it’s the sponsor that’ll act as a fiduciary in your deal; they are the ones tasked with helping you execute the deal to perfection. You could even argue that sponsors simultaneously increase upside and mitigate risk in a given commercial asset. Therefore, it’s in your best interest to work with a good sponsor; that way you’ll increase your own odds of success. The commercial basis metric is another way of disclosing the “all-in” price per square foot of the subject property. More specifically, however, the basis is often used to compare two similar properties. An attractive basis, relative to nearby comparables, is a great indicator for how you can expect a property to perform. If you can compare your own property’s basis to a similar asset that is already performing, you shield be able to gauge how well yours will preform. We have all heard of the golden rule of real estate: location, location, location. Where you invest plays an integral role in the value of your property, and commercial real estate is no exception. It is in your best interest to mind due diligence and determine the best possible market for your intentions. If you intend to invest in commercial real estate, the market needs to support your goal. In other words, if you are going to be leasing commercial real estate, make sure there is a continued demand for it. Passive investing belongs in an investor’s portfolio, and commercial real estate is no exception. While the barrier to entry is certainly larger than that of single-family properties, those that can successfully invest in passive commercial real estate will find the benefits are well worth the hard work. Passive income through commercial real estate is, after all, one of the best long-term exit strategies out there. If you know how to get into commercial real estate investing, you may want to consider adding it to your portfolio sooner rather than later. Passive cash flow investing is, in my opinion, one of the best retirement vehicles. Get to know your commercial real estate investing basics before you take the leap yourself. Passive real estate investing isn’t an entry level concept, but it’s something every investor should work towards.